The omnipresent cloud services and the arrival of cutting edge smartphones with superior integration and camera phones have made us obsessed with snapshots and uploading them online. 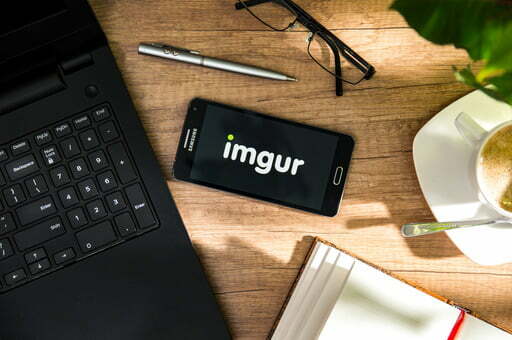 Nonetheless, the image hosting market is also widely used by professionals, such as photographers, artists, media creators, whose income is influenced by the quality and features of hosting providers. 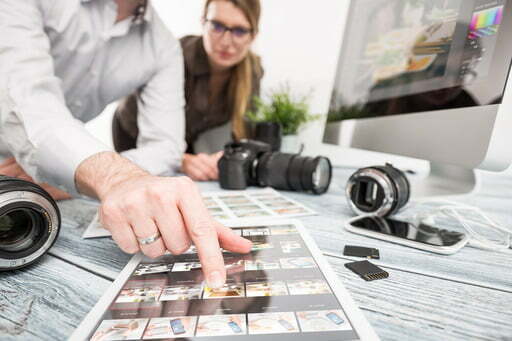 This article will be devoted to the top 5 image hosting services for your consideration, suitable both for amateurs who want to keep daily pictures safe in one place, and professionals who are eager to stock their thriving portfolio. Piwigo is photo gallery software for the web, a popular self-hosted solution to help you start your own image hosting website. The wide range of features is impressive and covers albums, privacy, tags, plugins and themes, management tools, analytics and a lot more. Individual pricing plans start at $39/year, while Enterprise plan pricing starts at $300/year with 10G storage with no limits on the number of files or users. If you are an experienced PC user, you can also check out self-hosting photo gallery alternatives such as Chevereto (as used by ImgBB), Koken, Lychee or Media Goblin. SmugMug, which recently acquired Flickr, is a perfect service created for individuals and skilled professional photographers who want to store for themselves, sell or send large files (photos and videos) to their customers. Every SmugMug plan comes with unlimited photo and video uploads with prices starting from $5.99 monthly, offering a set of features to safely store your pictures in one place. Advanced plans provide control over the way your photo site looks, features for selling photos, with a robust workflow and client tools, responsive design, fully hosted, unlimited traffic. However, there are limitations as to the maximum photo file size, which is up to 150MB, maximum video file size – up to 3GB. The service has more than 75 million users and offers customer support 24/7. Google Photos is a convenient app for daily use by anyone who wants a safe home to store their photos for free with unlimited storage, who wants to get the best way to send large files to family and friends, and free up space on a smartphone after synching files with Google Photos. A superb mobile app lets you manage your photos on the go. Although you will not be able to tag friends in the photos, and it cannot recognize text yet, Google Photos is successful in face recognition and searching by location, date, event. Google turned Picasa Web Albums into Photos, making it the most widely spread and usable image hosting solution on the planet, as it is connected with more than one billion Android devices. Google Photos is not a public, but a rather private image hosting application, where you can share photos without making them open to everyone. One thing you should be aware of when using Google Photos is that images are kept on Google’s servers and will be used to enhance its machine learning. Both PCs and Macs are compatible with Google Photos, as well as any smartphone. 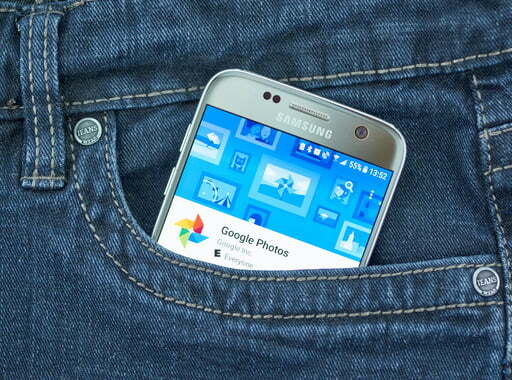 If you store pictures in quality of up to 16 megapixels, you get unlimited storage. Professional photographers would probably prefer paying for storing their photos in original quality, using Google One with private Gmail accounts or Google Drive with G Suite accounts. The Flickr Pro service is a smart photo management platform, offering its community of photography fans clever editing tools, unlimited storage for Pro plan users, including advanced analytics, ad-free browsing and desktop auto-upload, and a Free plan for 1000 photos including impressive photo editing tools. When one mentions free image hosting websites, Flickr is definitely one of the first that rings a bell. The site skyrocketed after acquisition by Yahoo and Oath/Verizon in 2017, and after becoming a part of SmugMug since 2018 its target audience shifted from enthusiasts to professionals. 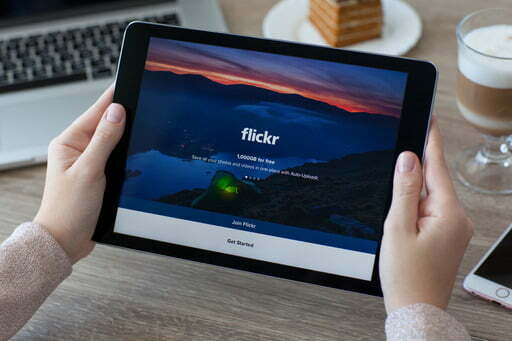 Flickr is operating the greatest photo community on the web with tens of millions of users. A 15% discount is applied for subscribers of Adobe Creative Cloud (or Blurb, SmugMug and Priime) if you decide to upgrade to a paid-for Flickr account. The maximum file size for non-animated images is 20MB, and 200MB for GIFs. Users’ images are stored online perpetually, but keep in mind that the service uses compression resulting in quality loss for anonymous uploads of non-animated images above 1MB, and for those who registered an account above 5MB. So it’s not a good idea to back up your media library to Imgur. This is more of an entertainment platform to share files, memes, funny GIFs with the world, or keep to yourself under your account. 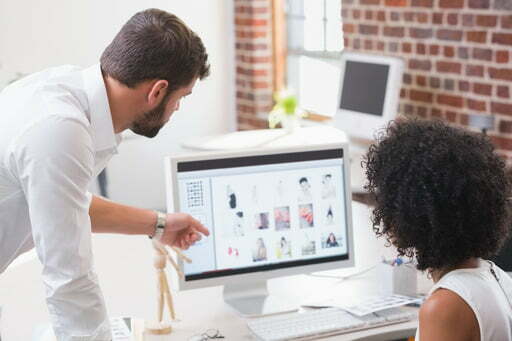 The opposite side of image hosting services is a need to send large video or photo files over the internet once in a while to a certain recipient. This is not what you would use image hosting services for. There are a number of paid subscription services that let you send large files, like Dropbox or Google Drive, but they also have size limitations. To send really big files online (of up to 1TB in size) it is best to use FileWhopper. Your first transfer of up to 5GB is FREE. Then the price of every following upload depends on the file size. Data grows in size immensely with the digitalization of our lives, and FileWhopper has solved the problem users experienced with many other file sharing websites, which is sending extremely large files online. It focuses on image hosting without community or discoverability. You can build a thumbnail gallery very fast by uploading JPG, GIF and PNG images of up to 10MB in size with no limit on the number of uploads or downloads and hosting time. Registration is optional. This drag-and-drop image hosting website has a 16MB file size limit, but no limitation on the number of files or duration of storage online. Keep in mind that human editors will review uploaded pictures before they go online. Similar to the previous service, Imagetitan is not community based, but instead has a clear-cut browser-based interface. Small files of up to 1.5MB can be uploaded with no restrictions as to the number of uploads or online storage duration. Registration is not obligatory, but direct links to your files are not offered. Pixabay is a privileged community where registered users upload high quality images and video files without copyright up to 100 pictures a day.